The award is given to members of public safety (police or fire) and/or a civilian who honors the service and personal sacrifice police officers and firefighters make every day. 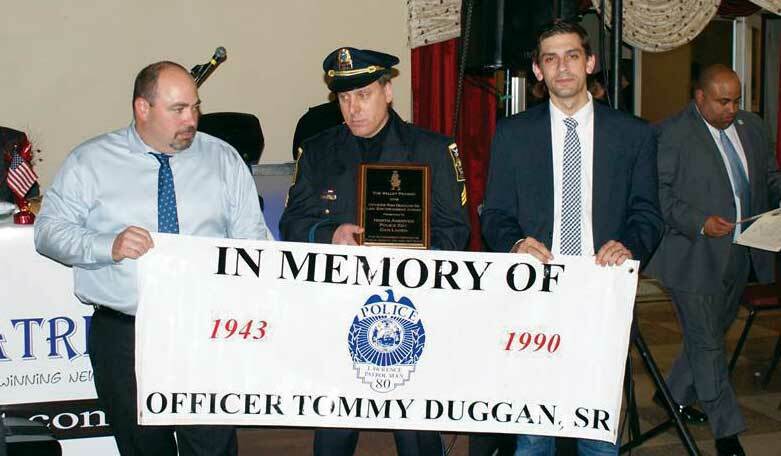 Valley Patriot publisher Tom Duggan is the son of Officer Duggan and personally picks the recipients of this award each year. Officer Duggan’s granddaughter, whom he never got to meet, greeted the attendees and read the purpose of the award, then introducing the Fire Chief from Lawrence to grant the first award. “The 1st Award tonight is given to Captain Jimmy Driscoll who joined the Lawrence Fire Department in 2002,” Chief Moriarty said. “He was promoted to Permanent Lieutenant in 2011, and then promoted to Captain on April 26, 2015 where he took over the Fire Prevention Bureau. 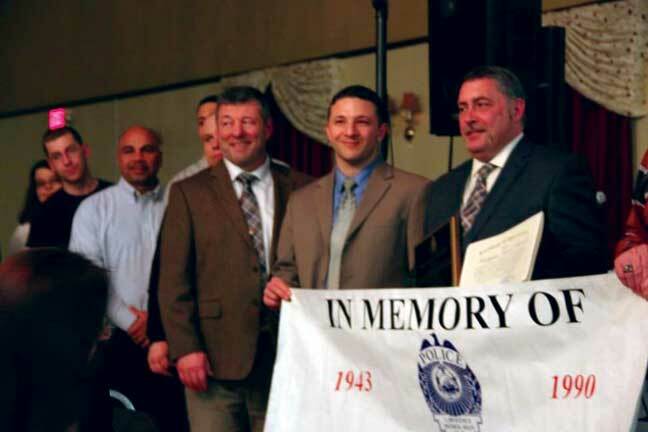 With Lawrence Police Chief Fitzpatrick absent from the Valley Patriot’s 12th Anniversary BASH, Lawrence Mayor Dan Rivera stepped in to read the reasons why Lawrence Police Officer Mike Laliberte was the recipient of the 2nd Officer Tom Duggan, Sr., Public Safety Award. 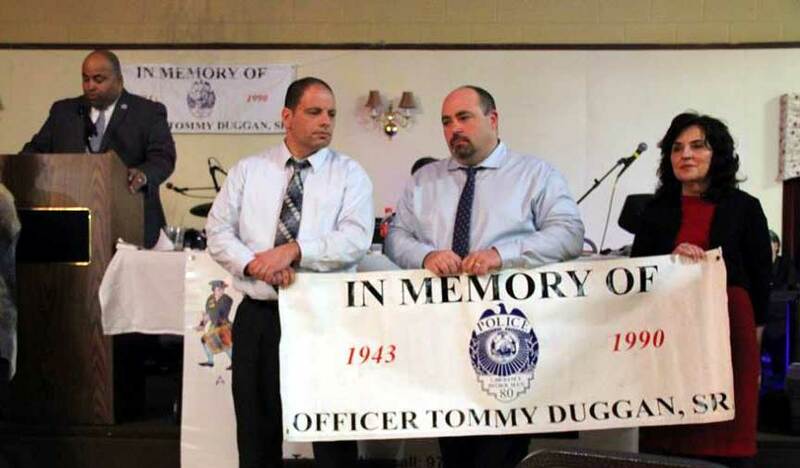 “Our 2nd Officer Tom Duggan Award tonight goes to Officer Mike Laliberte,” Rivera said at the podium. At this point in the evening, Chairman of the North Andover Board of Selectmen, Rosemary Smedile came to the podium to explain why North Andover Police Sgt. 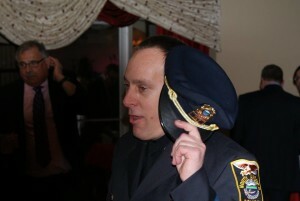 Dan Lanen received the award, while selectman Phil DeCologero stood with Sgt. Lanen, holding the banner with Officer Duggan’s name on it.